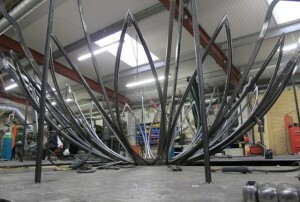 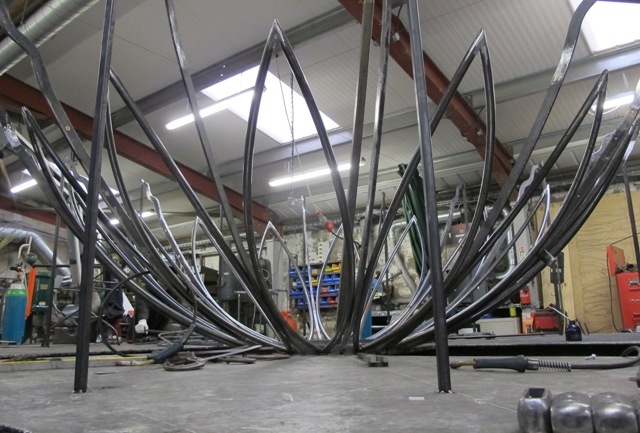 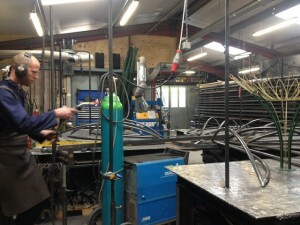 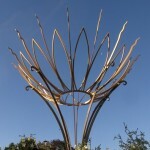 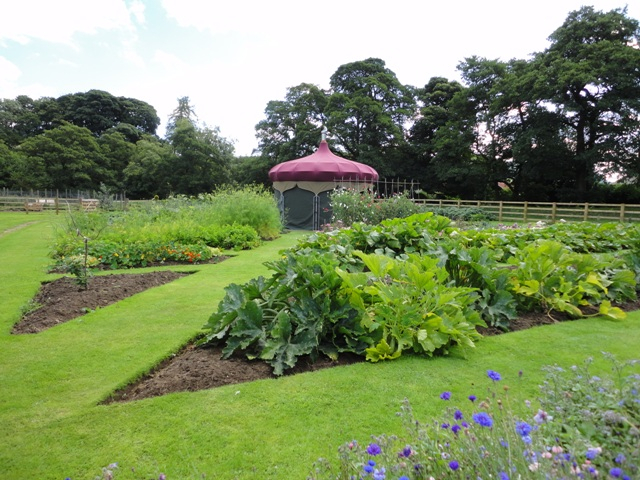 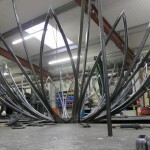 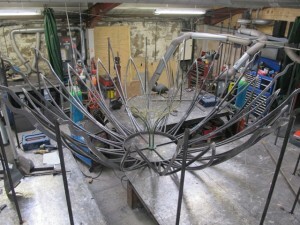 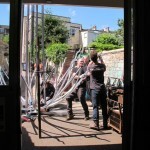 The whole Ironart workshop is buzzing with anticipation this week as our huge Sun Flower sculpture nears completion. 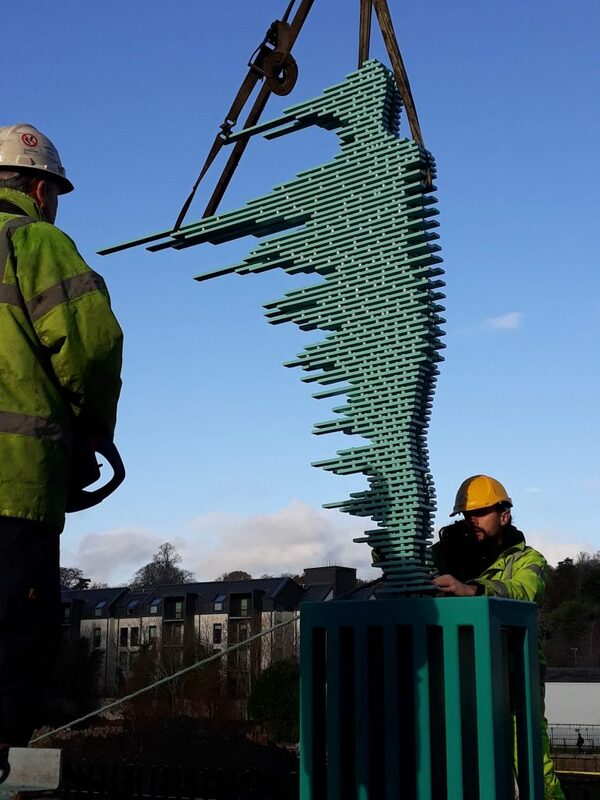 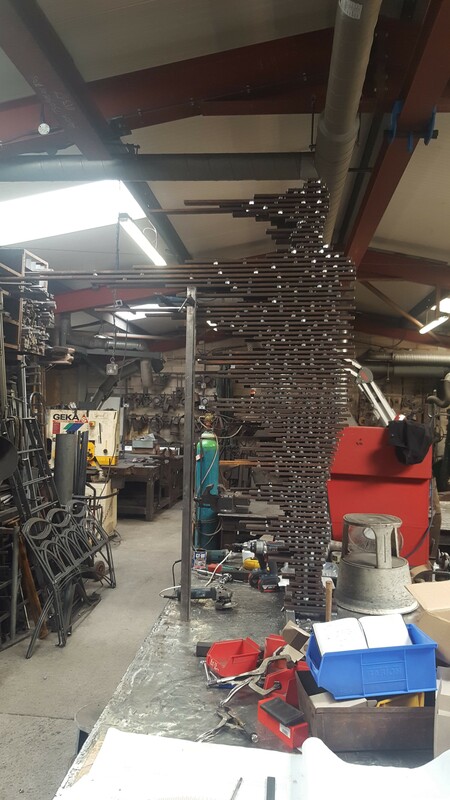 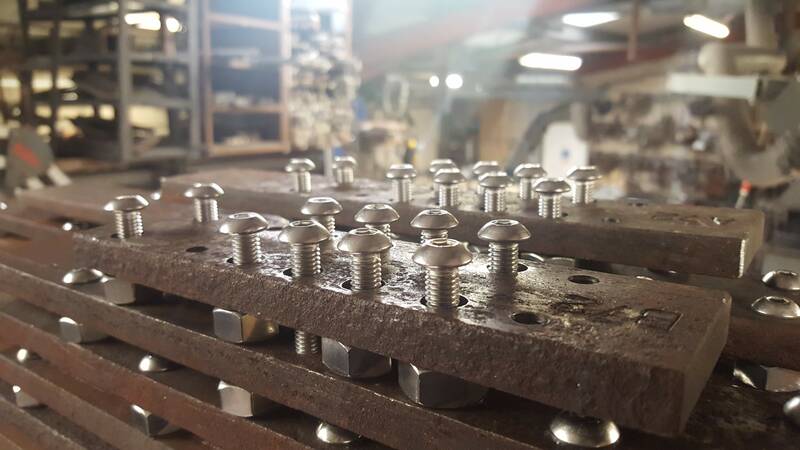 All elements have been assembled and we can start to envisage the scale and proportions of this beautiful and unique piece. 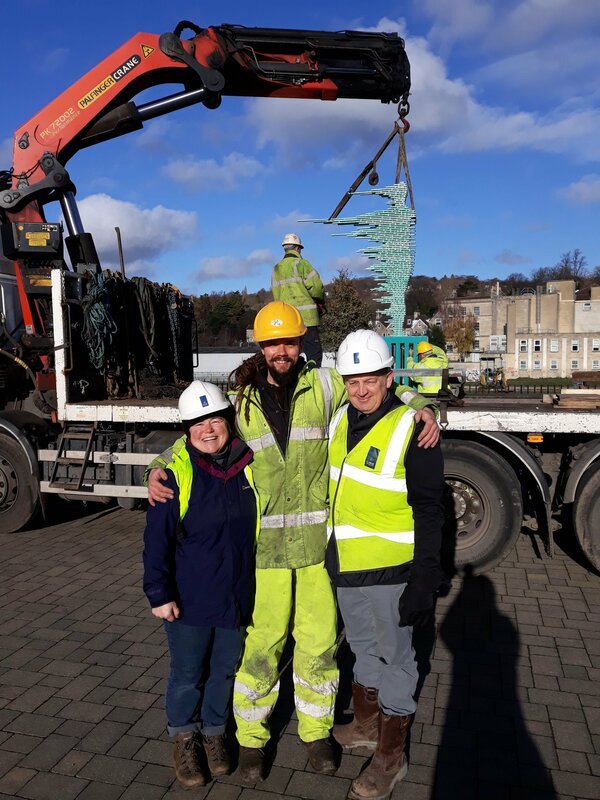 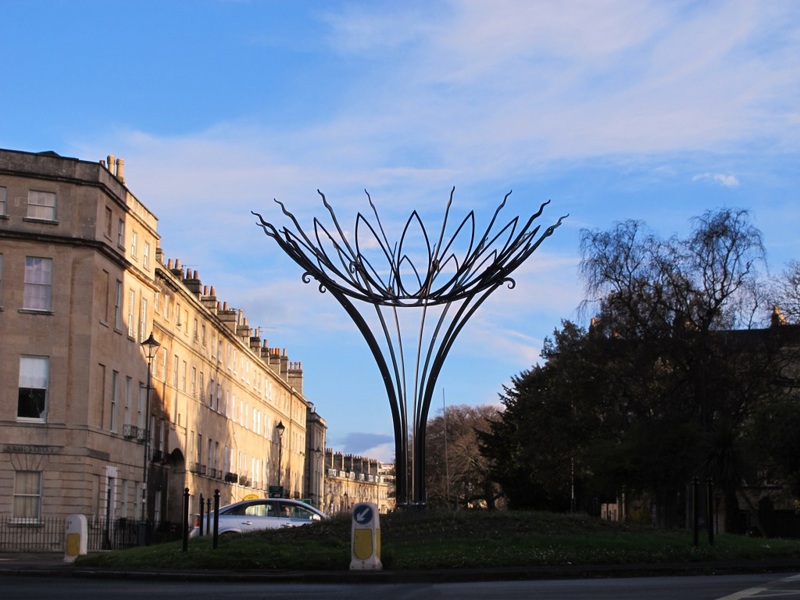 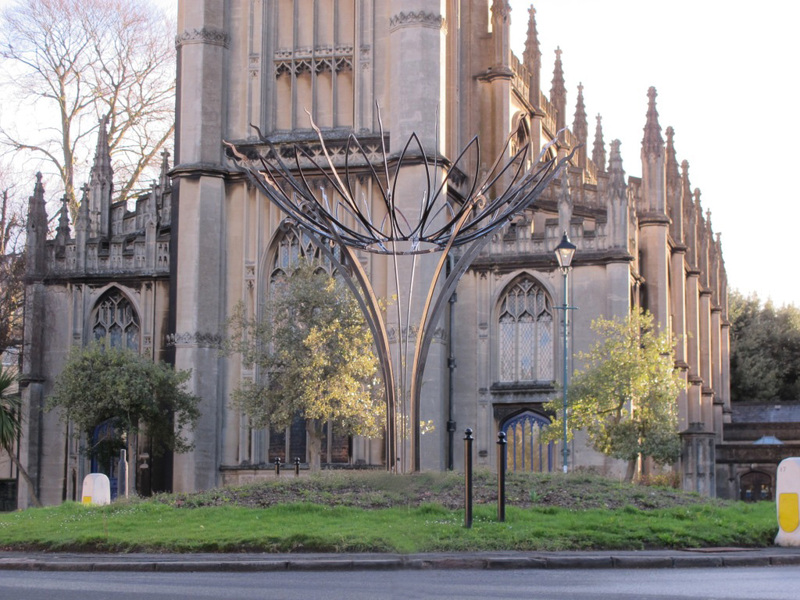 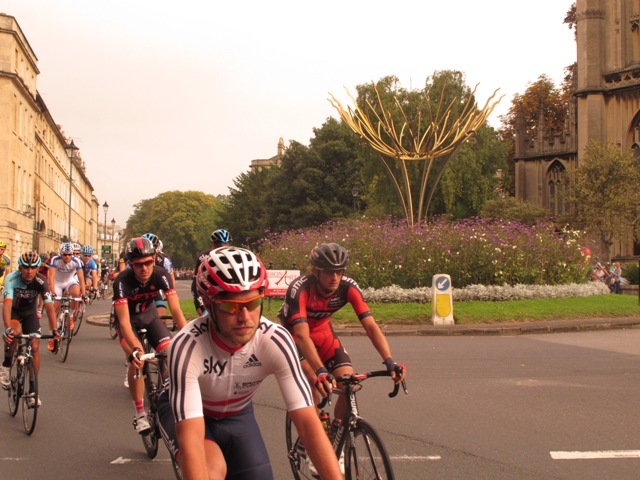 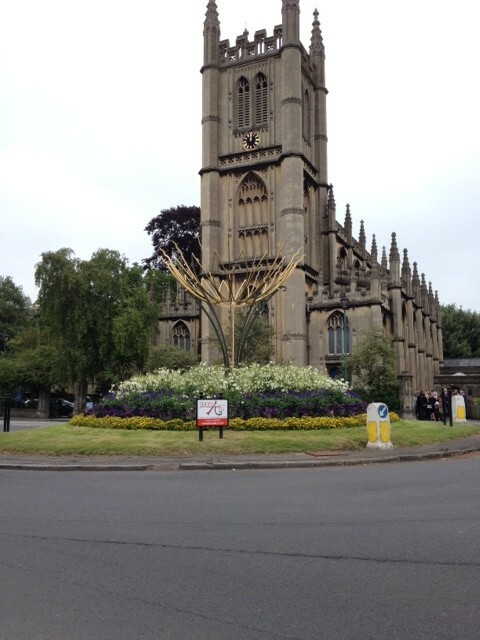 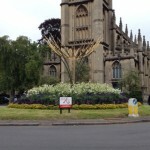 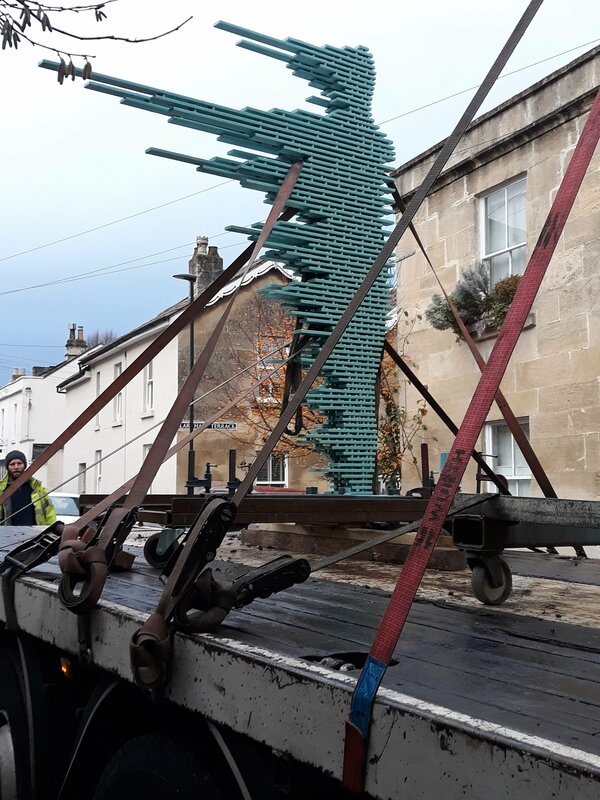 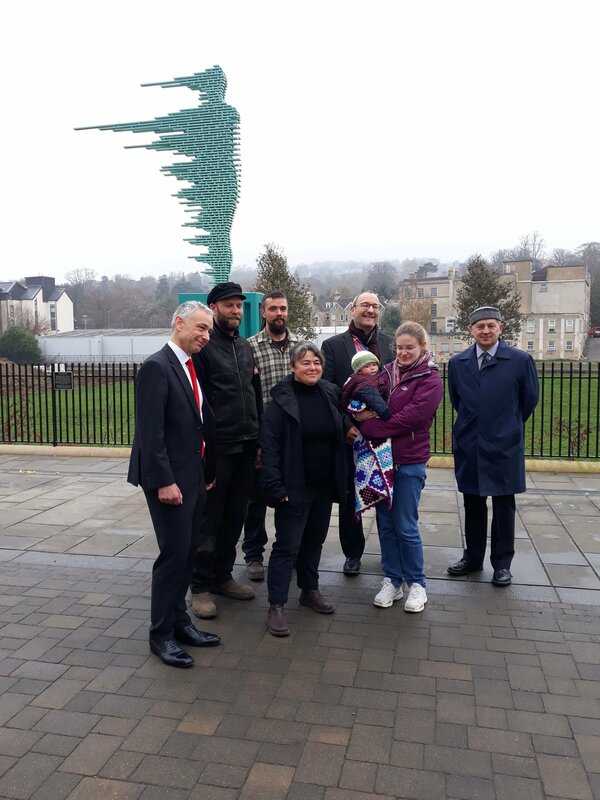 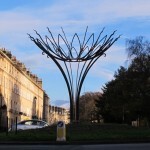 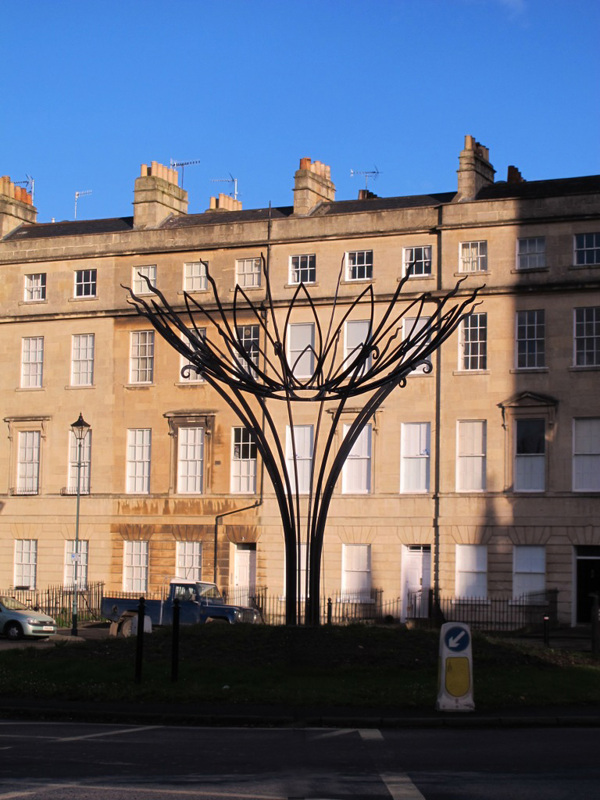 The Sun Flower sculpture is 4m high and 4m wide and will soon grace the roundabout at the bottom of Bathwick Hill outside St Mary the Virgin church. 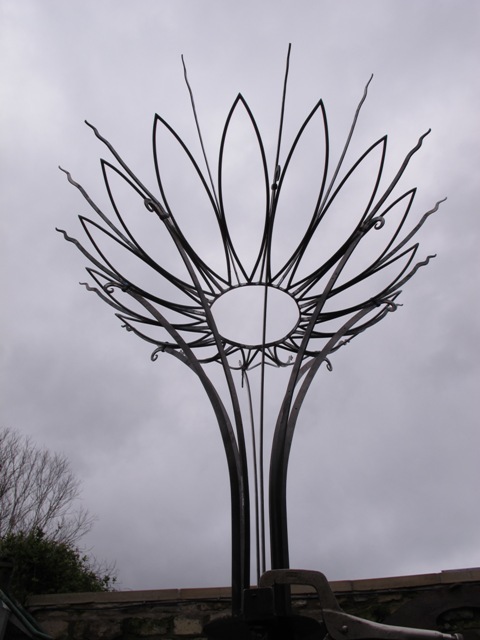 The Sun Flower sculpture is the vision of Andy Thearle who owns and runs Ironart, follow THIS LINK to a previous blog post. 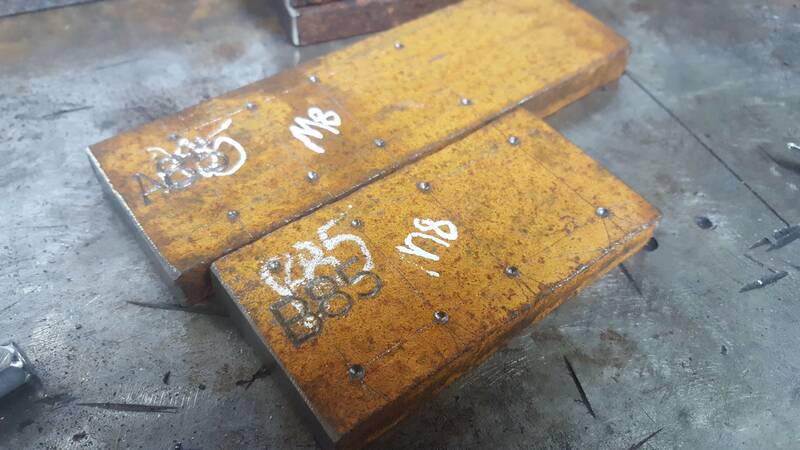 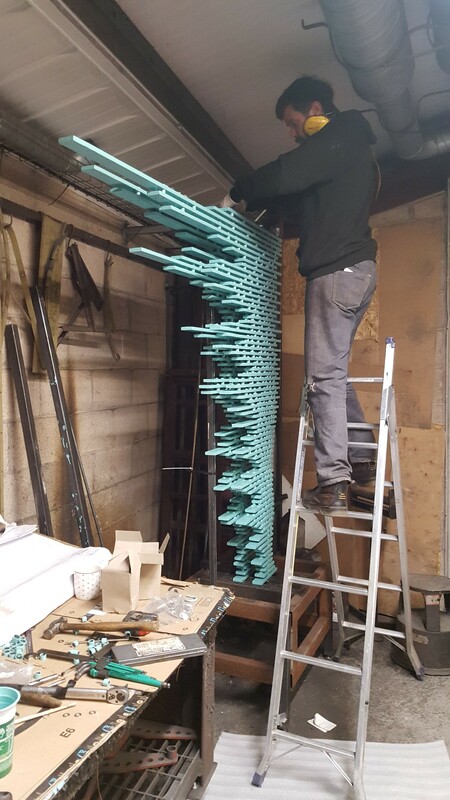 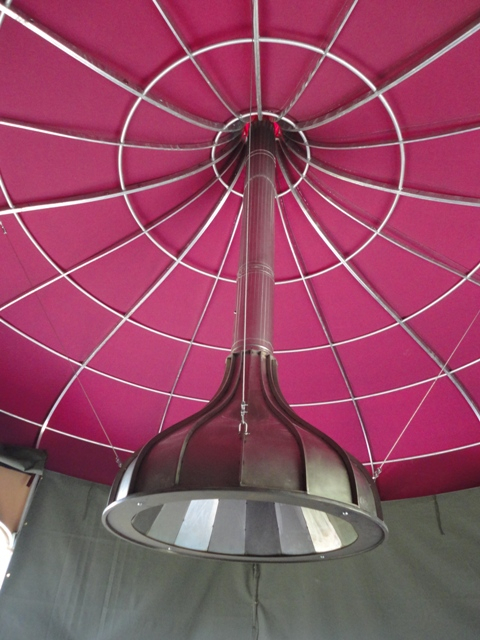 It is going off to be galvanized at the end of this week, and will then receive it’s paint colour scheme here in our workshops in Larkhall before being erected in early June. 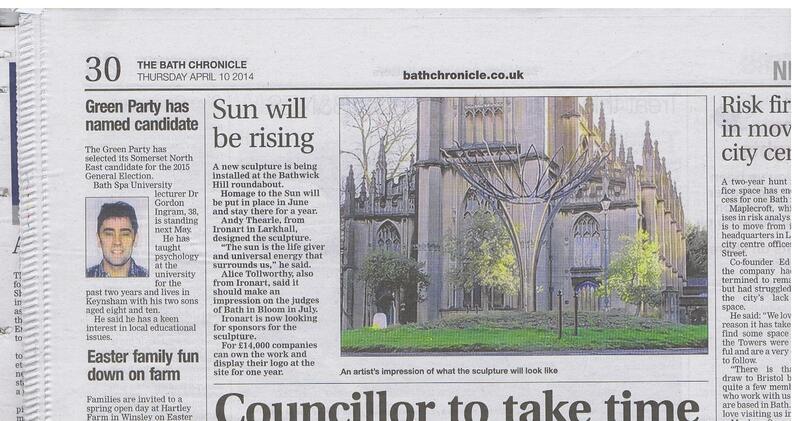 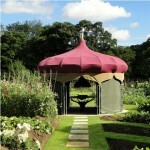 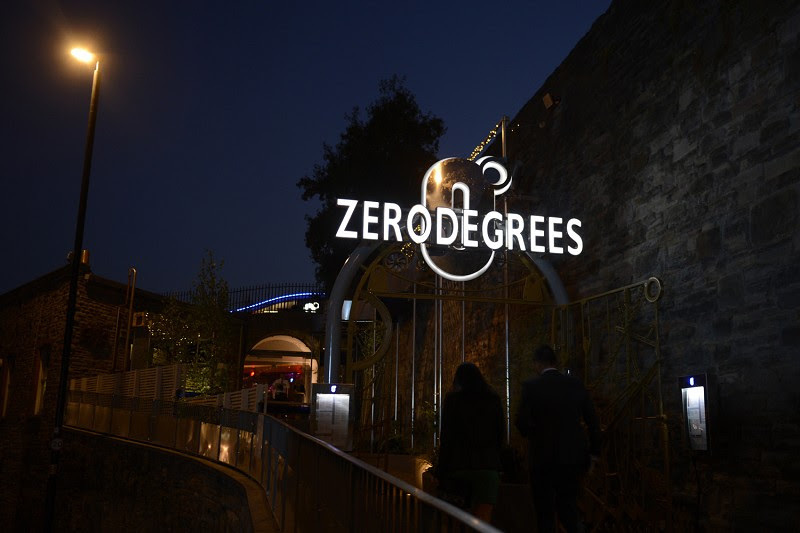 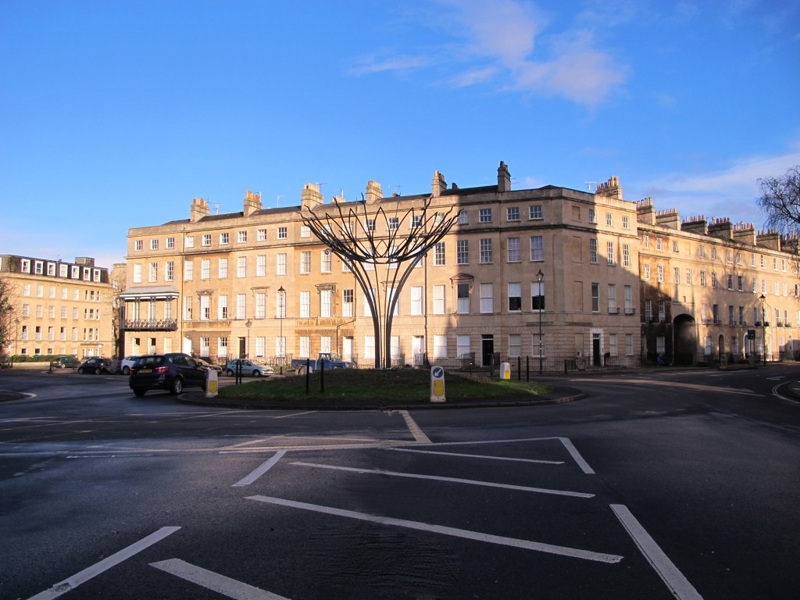 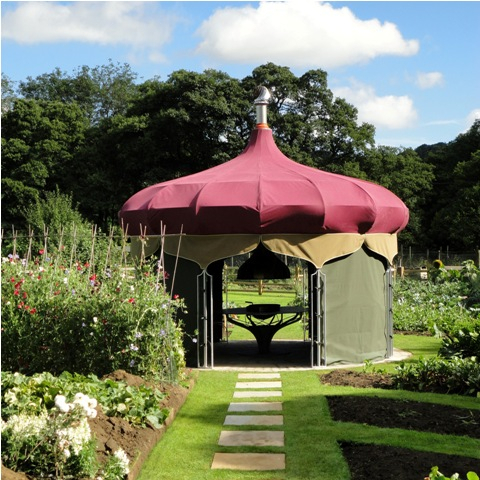 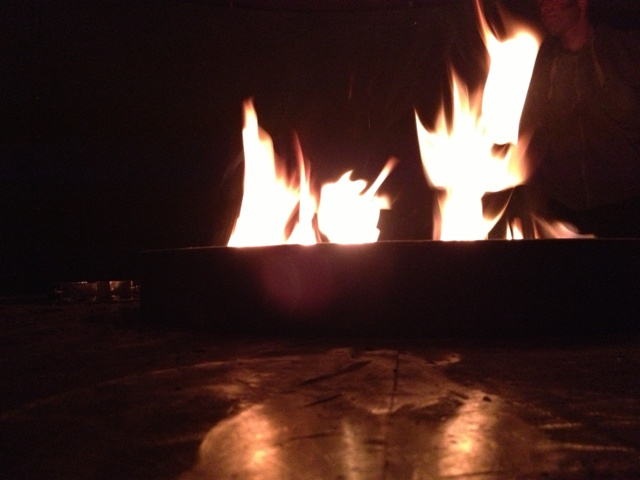 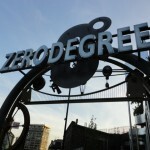 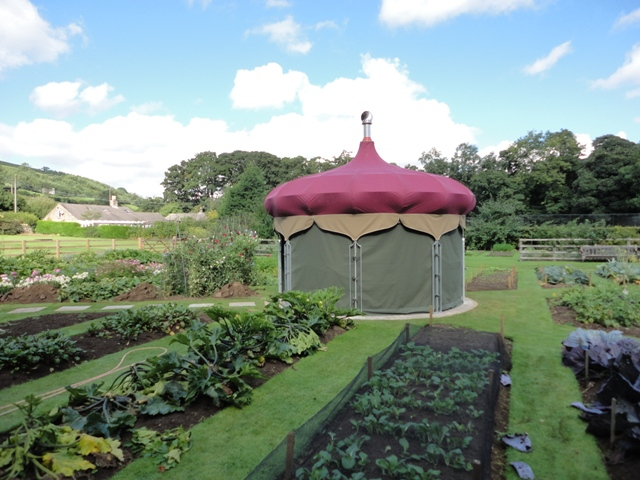 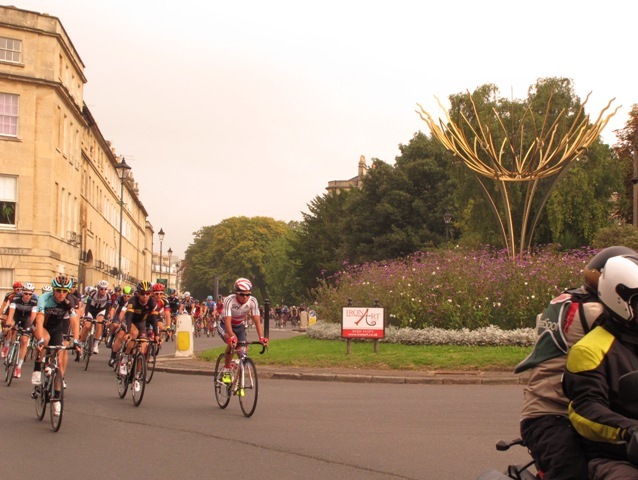 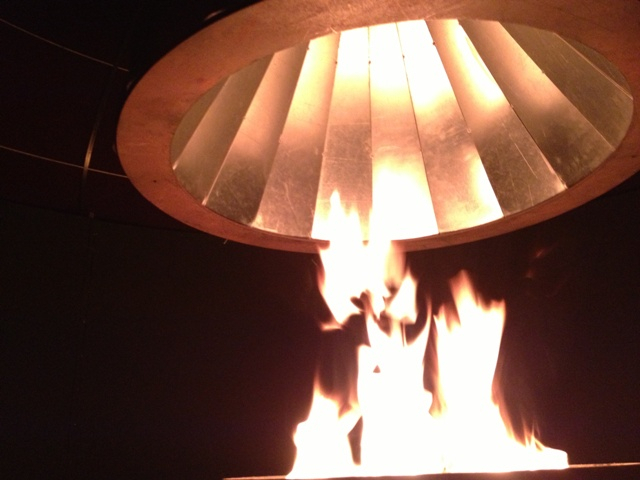 Follow us on Twitter @Ironart_of_Bath to stay in touch with us about this project as it happens. 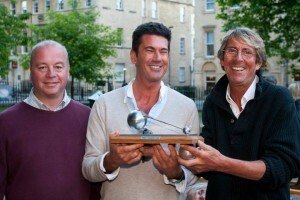 We were asked to make a unique trophy for the Bath Boules Tournament 2013 in honour of the Star Wars actor Richard LeParmentier who died in America earlier this year. 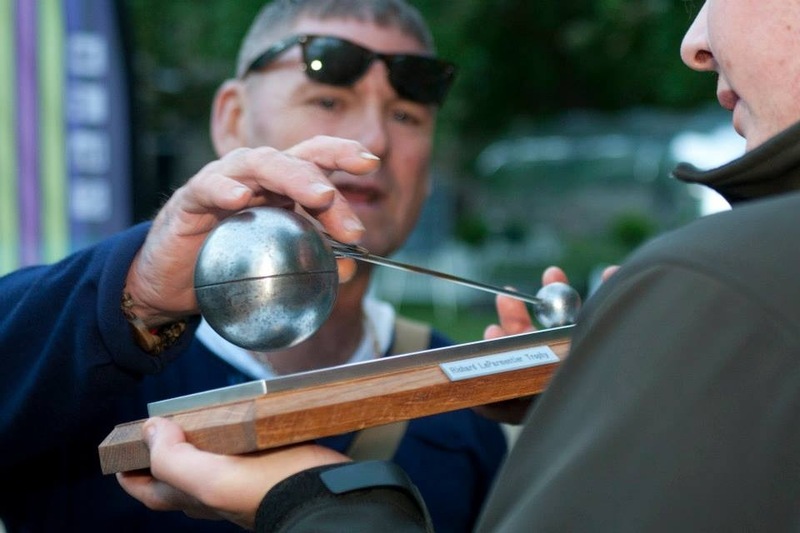 Richard had been a long-term supporter of the Bath Boules Tournament. 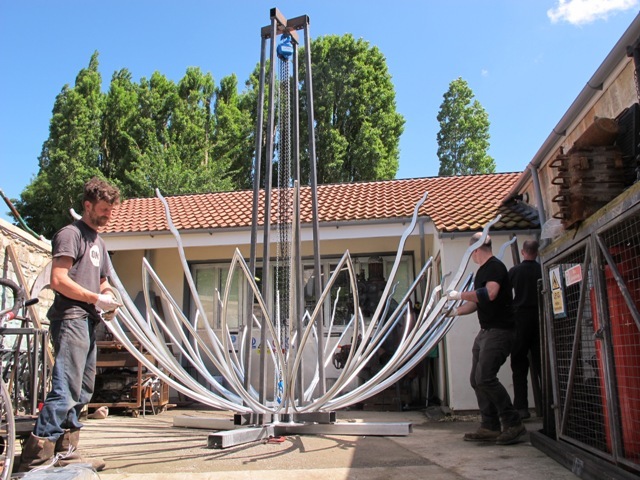 It just so happens that Martin knows quite a lot about Star Wars and he did a great job of constructing the trophy. 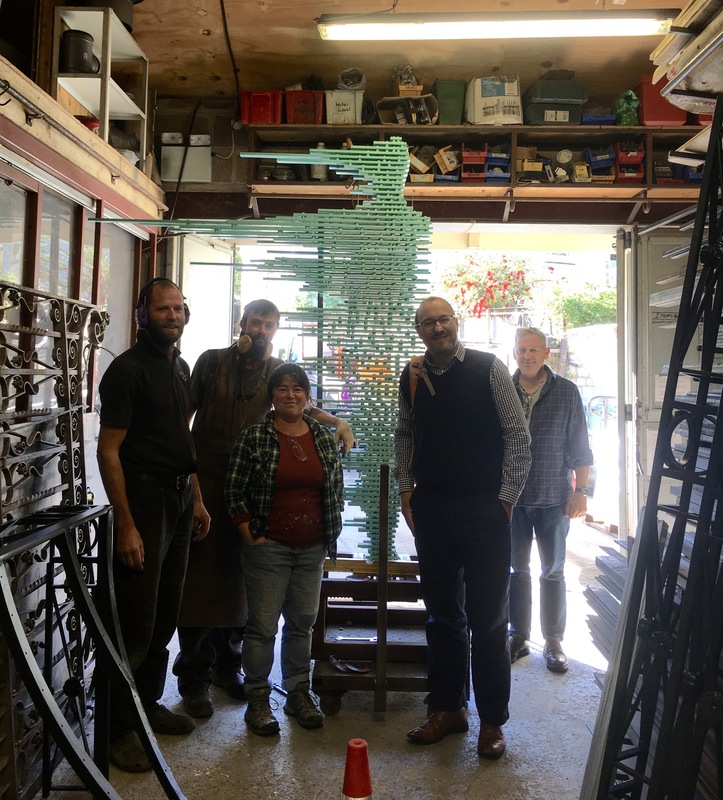 Richard played Admiral Motti in the first Star Wars Film in which he was mentally strangled to death by DarthVadar with the words…”I think your lack of faith disturbing”! 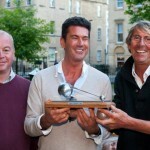 The trophy represents the ‘Death star destroying Alderon (Princess Leah’s home planet)… apparently!